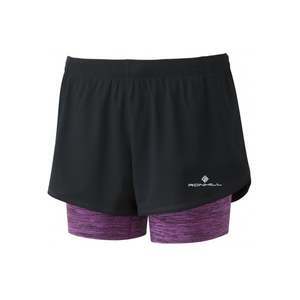 A black lightweight and breathable outer with a soft, stretchy elastane inner, the womens Stride twin running shorts are another quality Ronhill essential. Ronhill invest in their materials, which means they'll feel great on and retain their shape well! You have a rear secure, zipped pocket for your essentials too.